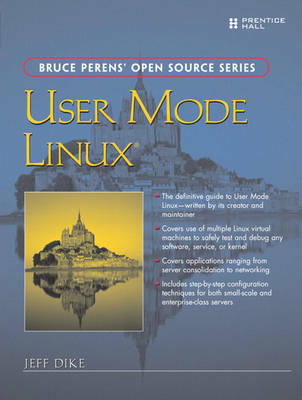 With User Mode Linux you can create virtual Linux machines within a Linux computer and use them to safely test and debug applications, network services, and even kernels. You can try out new distributions, experiment with buggy software, and even test security. Now, for the first time, the creator and maintainer of User Mode Linux shows how to put it to work hands-on. Jeff Dike covers everything from getting started through running enterprise-class User Mode Linux servers. You'll find authoritative advice on bootup, compilation, administration, specialized configurations, and much more. Whether you're a netadmin, sysadmin, teacher, student, or programmer, User Mode Linux ®--the technology and this book--is indispensable.